Dan Levy was a director of Stockport County between 2004 and 2007 after previous owner Brian Kennedy sold the club to the Supporter’s Trust. 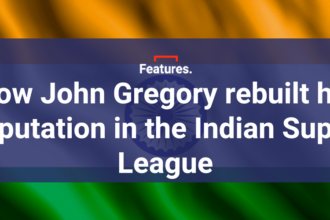 We spoke to him to find out how it felt moving from the terraces to the director’s box. What motivated you to join the supporters trust initially, and what led to you becoming the director? I approve of the idea of fans owning their football clubs, or at least having influence over their clubs, so it seemed a fairly natural thing to join the Supporters’ Trust. 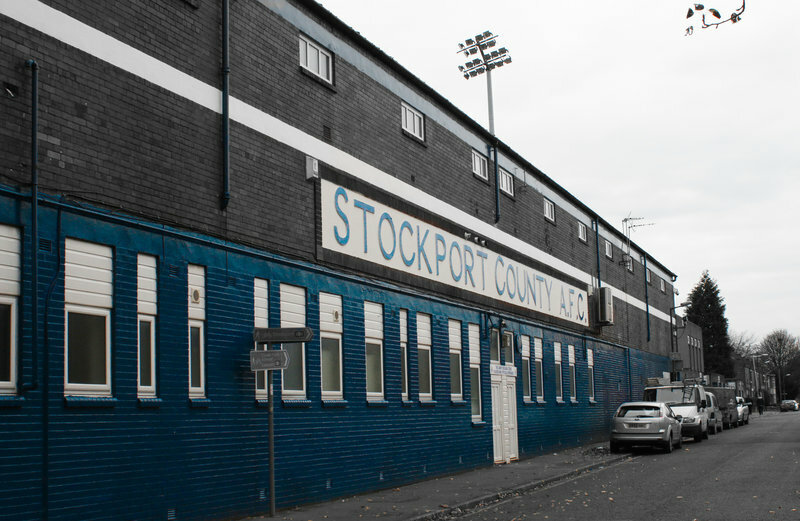 What happened in the case of Stockport County is that the owner told us he would be interested in us handing over the club, so we then had to get on with things pretty quickly, and put together a team of people who could cope in sorting out the finances. I think it was, actually. A complete shock. It was hard work putting together a bid that would ensure the success of the club. You made an unusual transition from being a fan to being in the director’s box. What were your ambitions for the club? Did being a fan make them more idealistic? I think we were quite realistic about how difficult it would be. We wanted to make sure that the club was one which was genuinely open to fans feeling a part of it, and that it wasn’t ‘us and them’ between the board and the fans. It was all good, well meaning, slightly naïve sort of stuff about the club being part of the community. You think you were naïve? Well, I think it was a little bit naïve. The reality is that 95% of football fans really only care about what happens on a Saturday afternoon or a Tuesday evening. They really don’t want to be involved in the hard work of thinking about the things off the pitch, so I think it was naïve to think there would be more enthusiasm than there actually was. If you hadn’t been a fan of Stockport, do you think you would have made some different decisions? No, I don’t, I genuinely don’t think that the decisions that we made were driven by anything other than the sort of slightly twisted commercial logic that goes with owning a football club. Fundamentally football clubs really are pretty appalling businesses. With the exception of clubs in the Premier League, you’re only going to break even at best and, at worst, lose money all the time. You mentioned this idea of “us and them”. Was transitioning from being a fan to a director – from one side of that divide to the other – difficult? Was that difficult? As someone who would rather be sat on the terraces, did you find it difficult or awkward to liaise with those kinds of people, and sit in that kind of environment? It’s hard. There are some fantastic bits about being director of a football club – like the fact you did get fed, and you did get to sit on the half way line and see the match. But I think you have to make a conscious effort not to get aloof, or cut yourself off. I think we did that, although I suspect that some of the fans probably would think otherwise. But I think there were times we did things that other directors wouldn’t do. I remember one occasion we were at an away game and our manager’s wife, who was pregnant, came in wearing jeans, and so she had to leave the directors box. So we all left and sat with our fans at the other end of the ground. It’s a very small thing I think, but it’s important. You touched on the idea that maybe some fans won’t have seen it like that. Being a fan yourself, was it difficult hearing supporters voice their disapproval? It is quite personally involving, I think, and it takes over your life. I’m lucky that I lived 150 miles away from the club and I could get away from it. But I think certainly some of my colleagues, who lived in Stockport, found it more difficult than I did. But do you think it may have been particularly dispiriting for you, compared to directors at other clubs? I think it was dispiriting that ultimately we failed. But actually we came pretty close to not failing, and we did some great stuff – we got promoted, which was great. But ultimately we did fail. So could you enjoy the club as a fan whilst you were there? Did you have the same passion? When you’re watching a game, rather bizarrely, your main thought is: how big is the crowd today? How much money are we making? And not: are we winning 1-0, 2-0? Are we losing? It really does change the way you see stuff a bit. That’s kind of inevitable. The enjoyment of winning was exactly the same as it was outside the boardroom and the disappointment of losing was every bit as bad, but you realise just how much more there is going on at a football club than the stuff happening on the pitch. Has it changed your perspective on football in general? I’m still a fan, but you do get an understanding of what the dynamic is behind the club. It’s really hard to share in the fan worship that happens to some of our ex-players or ex-managers when you’ve actually had to deal with them as people. Is that because some of those people are difficult to work with, or that you get a greater understanding that success and failure are diffused across more than one or two people? Both, really. You’re bound to see people differently when you’re dealing with contractual issues rather than whether they can kick a ball very well, but also some people are just generally difficult. That, to a certain extent, is the nature. In football there are often a lot of odd and stroppy people around – on the pitch, in the boardrooms, everywhere. And the reality is, of course, that a lot of this stuff you can’t share with anyone. Things like, what a player gets paid and transfer negotiations, these have to be confidential. At half time when you’re nattering to your mates, it’s often “such and such isn’t worth his money”, etcetera – you can’t really share that with your mates. There is a slightly different way of looking at games even if you are stood on the terraces with the same people that you were before. You talked about remembering not to be aloof, or let the “men in suits” thing get to you. Did you tend to see that in visiting director’s boxes? Was it something that you found uncomfortable? What I found quite interesting was how many directors of opposition clubs were completely insensitive to the fact that we weren’t the same as them. There were a few exceptions, so there were one or two directors of privately owned clubs who were really interested in our fan owned model, which was great, and obviously directors of other fan owned clubs were laid back about the whole thing. Interestingly, when we were at one of the other fan owned clubs we toyed with the idea of opening up the directors box to ordinary fans – doing away with it for the day, because we all think it’s a bit silly – and as far as I recall we were told by the FA that we would be in breach with dozens of their rules if we did that. So we had to carry on being traditional for the day. It was almost unreal some of the things you saw going on. Some of the people who were involved in football were just very strange people. I definitely got the impression with a fairly high proportion of clubs that there was money laundering going on. I mean, it’s a fantastic way of cleaning your money up. Do you think that a lot of the financial problems within the football league are partially due to the actions of unregulated people at the top, rather than systemic problems with the way finances are distributed? I think it’s both, actually. I think there are systemic problems, and it’s the systemic problems, the lack of regulation (beyond the rather pathetic proper persons test) that gives the opportunities for people who are less scrupulous. If it became more difficult to separate the property of a club from the playing side, then I think there would be less chancers who were attracted to it. But the real drive is that football clubs tend to own property at some stage and, if you own the club, you can quite likely find a way of separating out the football club from its ground, can’t you? And time and time again, that’s happened, and almost always it’s to the benefit of the owners, and not the club. Would you ever consider getting involved in a football club again? I’d certainly be happy to give advice to clubs or fan groups thinking of taking over a club, but I would never get involved in working for one – it’s hard work and I’ve done it once. But you should never say never, should you? You can follow Alex Keble on Twitter here.